Preheat the oven to 350. Coat two baking sheets with cooking spray, or line with cooking parchment. In a bowl combine the flour, oats, baking soda, salt, and cinnamon, and stir to mix. In a large bowl, beat the sugar and margarine with a wooden spoon until just combined; do not overmix. Add the banana and zucchini purees, and the egg white, and stir just to blend. 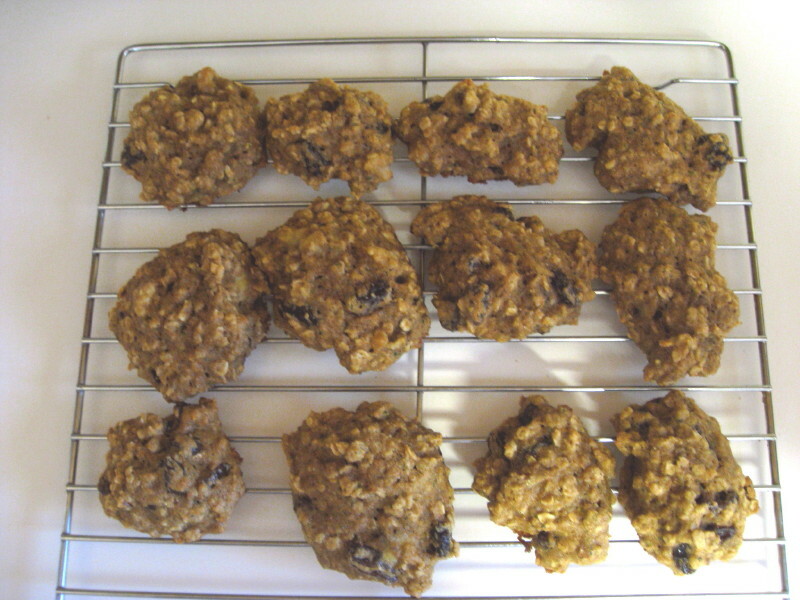 Add the flour mixture, raisins, and walnuts, if using, and stir to combine. Drop the dough by heaping tablespoonsful onto the baking sheets, leaving about 1 inch in between. Bake until golden brown, 12-15 minutes. Let the cookies cool on the baking sheets for 4-5 minutes, just until they are firm enough to handle, then transfer to a rack to cool completely.